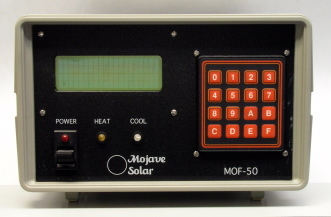 The MOF-50 is a 4 channel heater control unit with a single channel water heater/cooler control. Dual power supply gain control and display of Eddy Co. MS-360 (180nm - 850nm) photo multiplier detector and low noise amplifier. This unit has an analog output of 0-10V. This powers a hollow cathode lamp. The control range is .1 ma - 10 ma with a current stability of better than 1 part in 5,000. This unit may be in a closed loop system to regulate the lamp intensity to better than 1 part in 10,000. 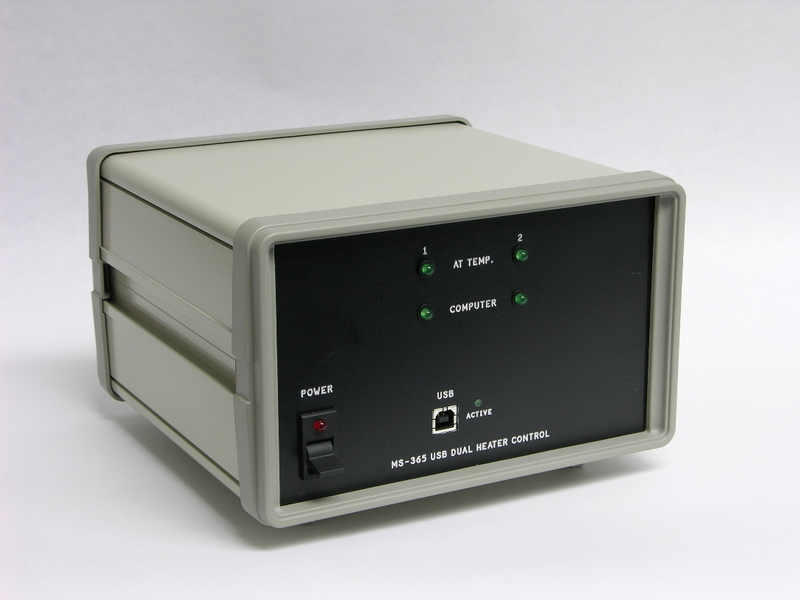 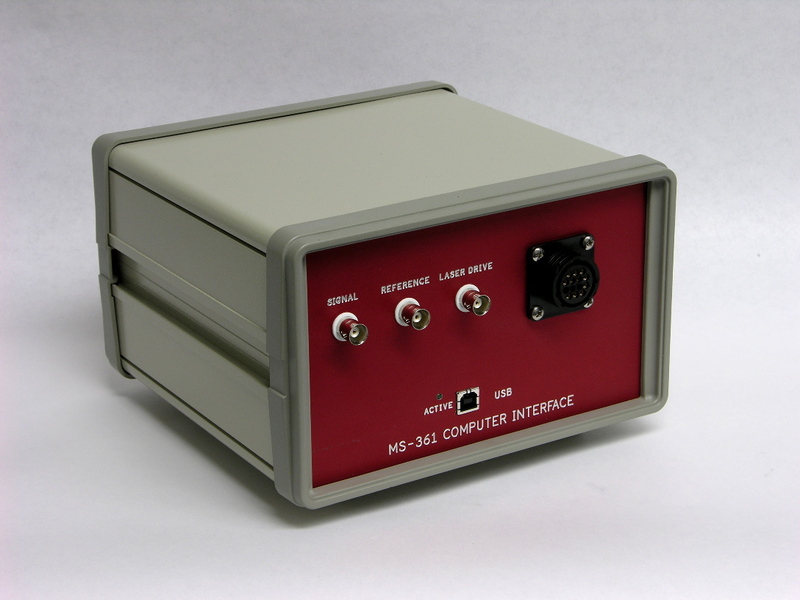 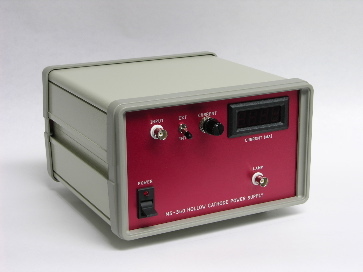 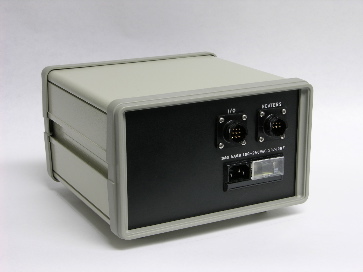 Computer interface with USB-2 to drive sweeping laser and measure reference and signal intensity. It is used with supplied LabView software. Dual signal input and dual stepper motor control used for XY measurement of cell sensitivity. USB-2 LabView program supplied. 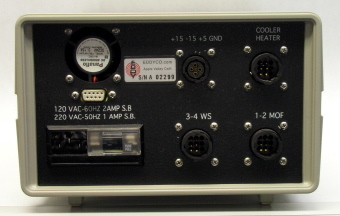 Quad heater control for up to 5 amp heaters. This controls up to 2 amps with manual switches to boost basecurrent up to 3 amps. 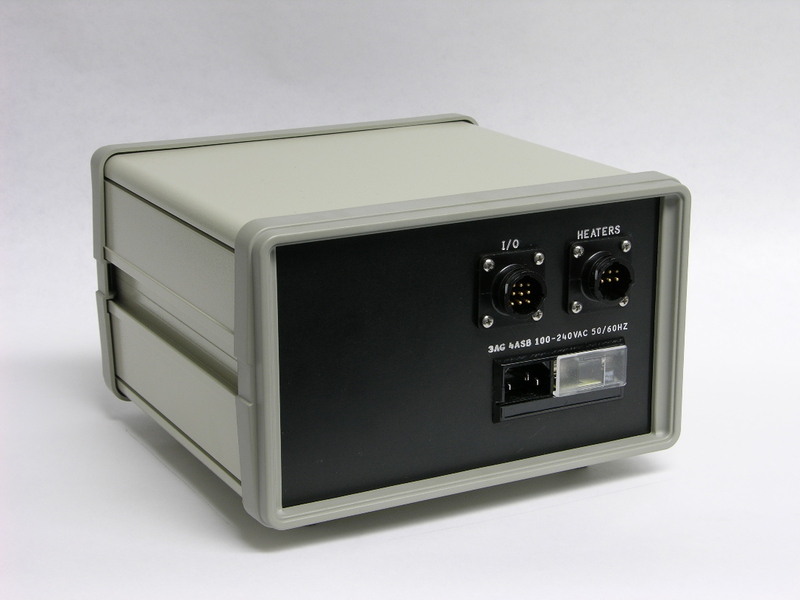 USB-2 LabView program supplied. 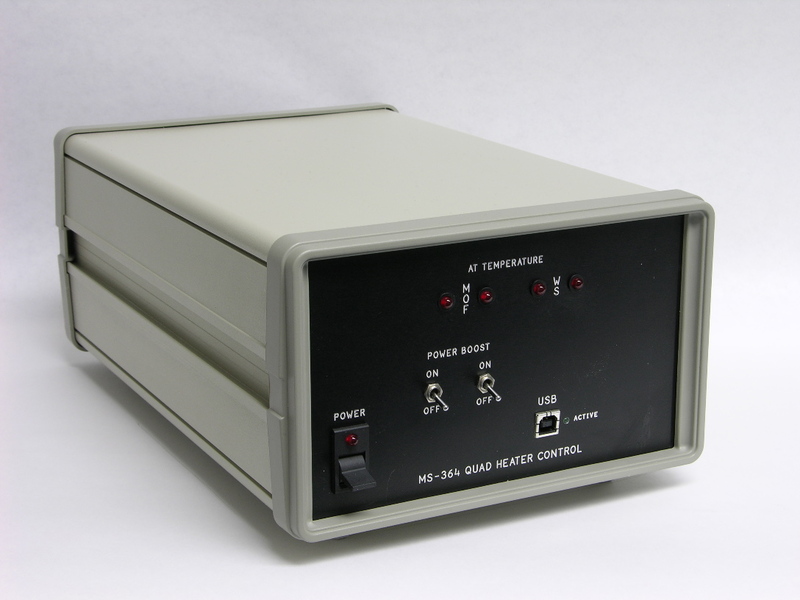 Dual heater control for reservoir cells and ring cells. This is controlled by a USB-2 connection to a LabView program on a standard PC. The program has a temperature setting, readout and a signal indicating a temperature lock. 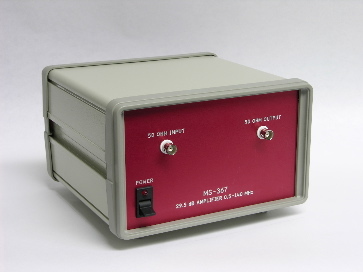 50 ohm input and 50 ohm output amplifier with a gain of 29.5 db. This amplifier combined with a proper tuned circuit is used to excite a He cell.